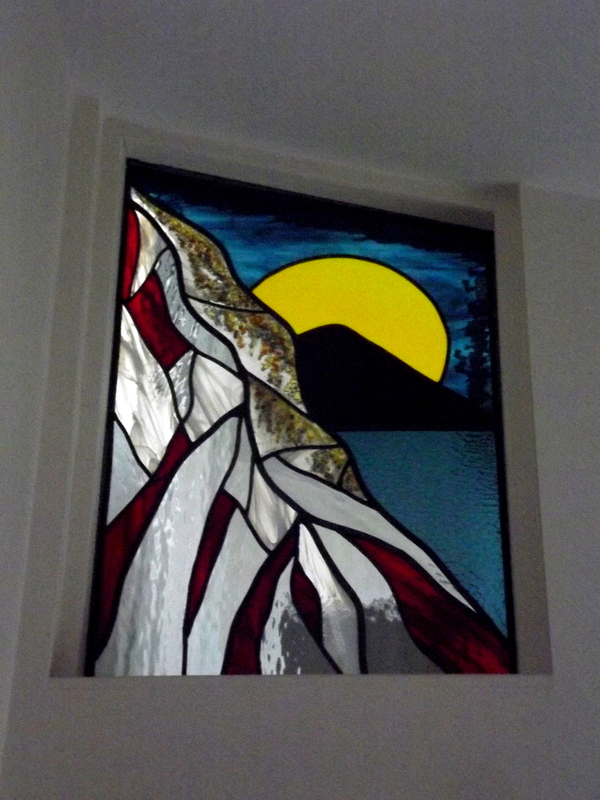 This panel was created for the first floor mezzanine window of a beautiful new build contemporary house in Exeter. 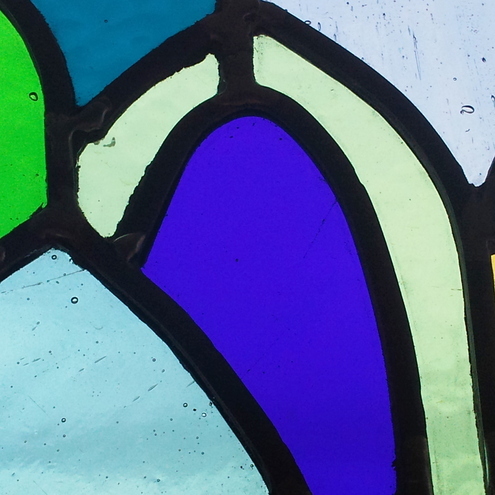 On the first floor it is at the end of the corridor, resting on the floor. 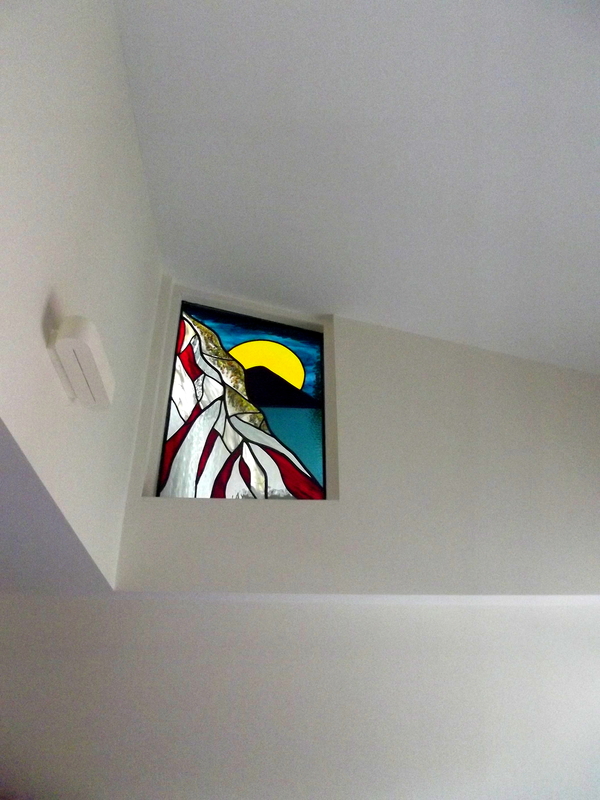 From the ground floor it is visible high up on the wall of the downstairs study. 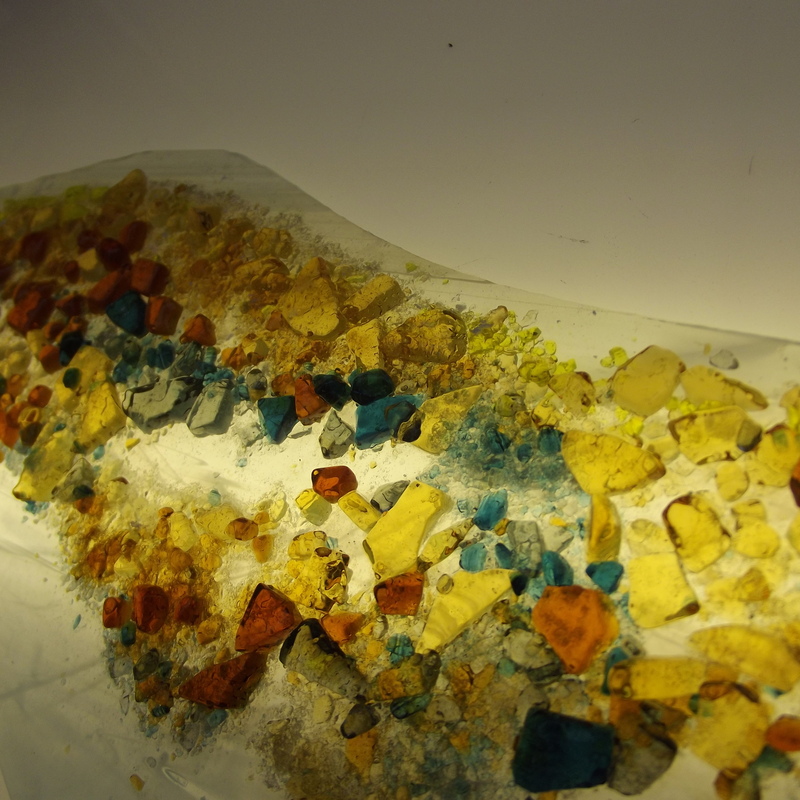 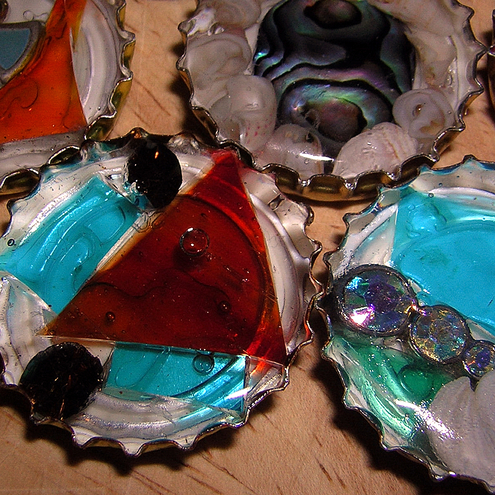 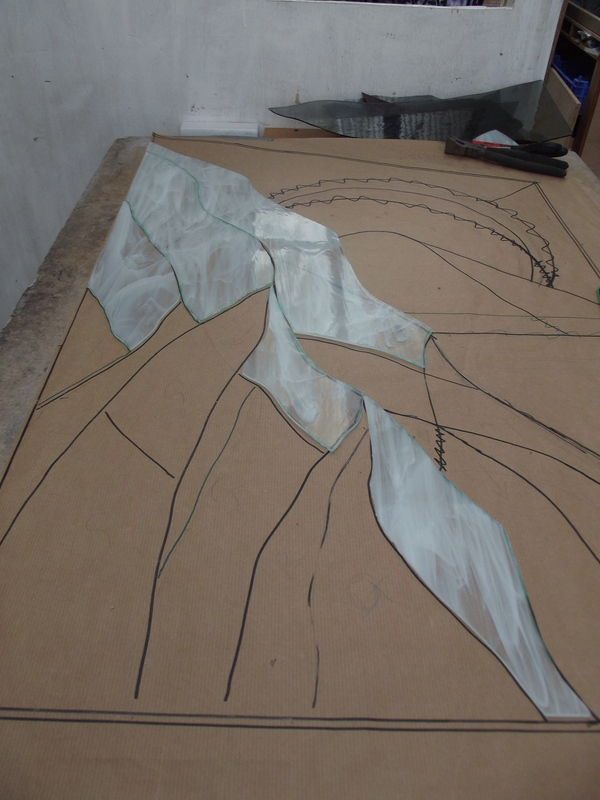 Then I paint ground glass onto the pieces of glass and fuse them in the kiln. 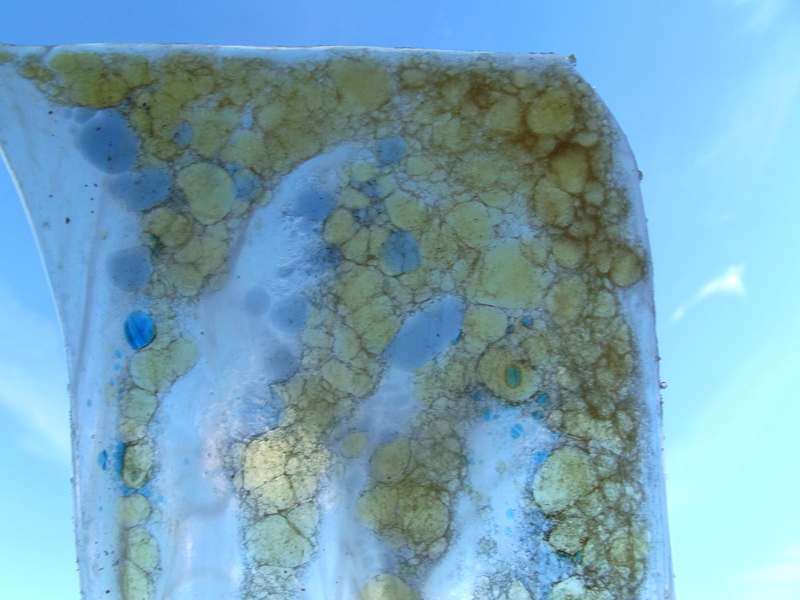 My first attempt I fired it too hot and although I loved the effect of the fused glass the pieces had changed shape too much to fit into the leaded panel and I had to both redo this and rethink my design a little. 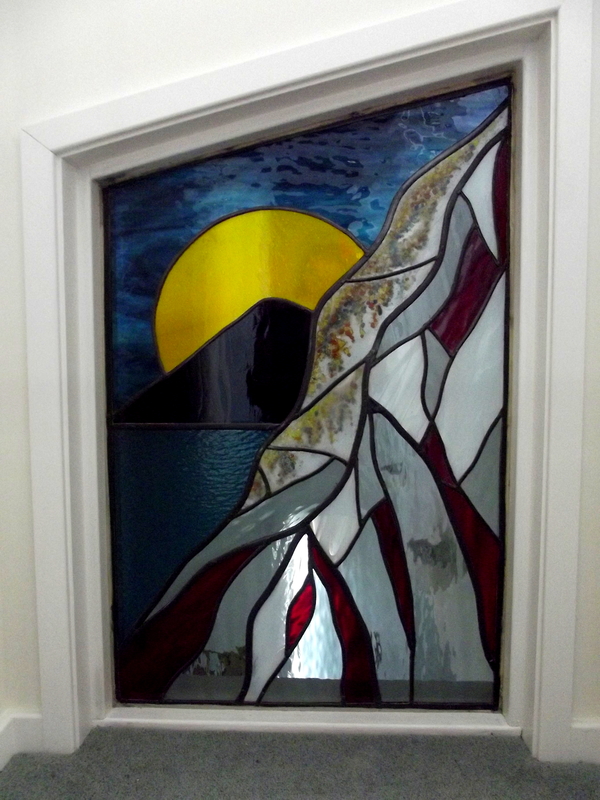 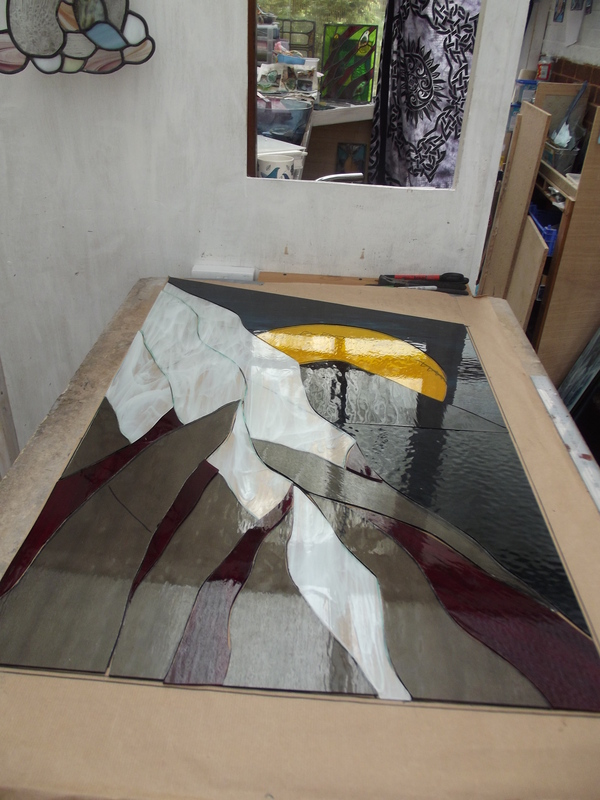 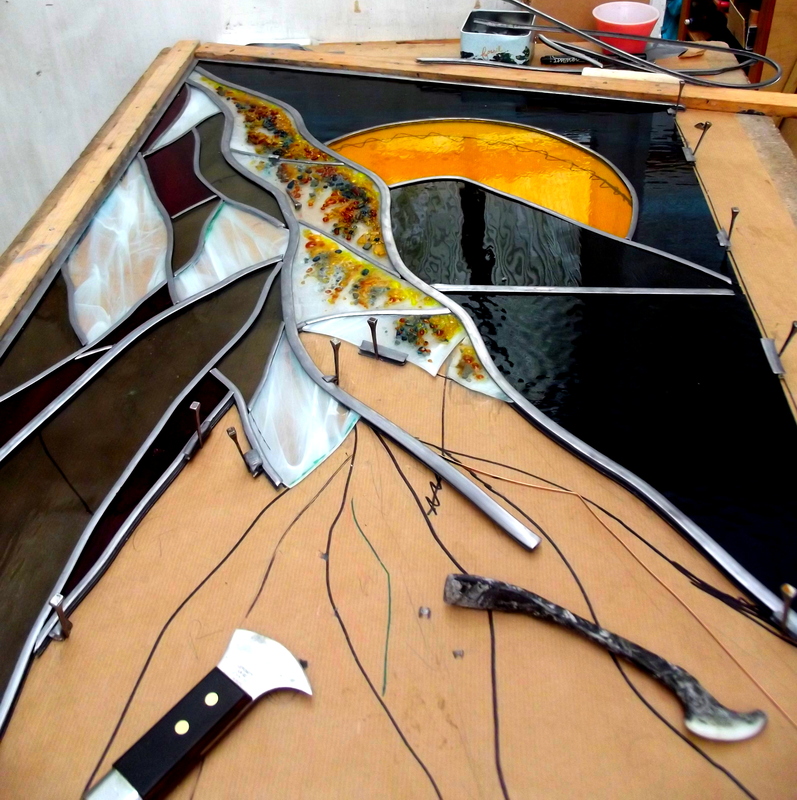 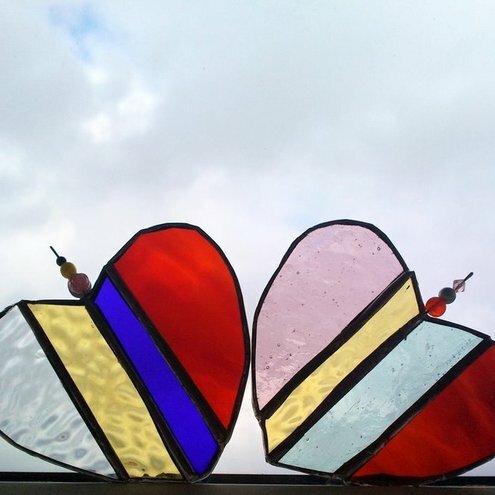 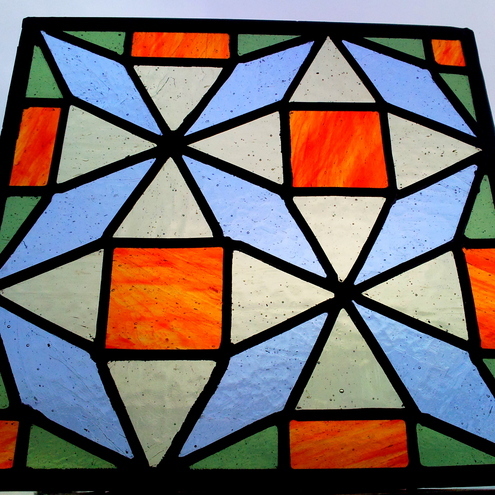 Once I had got the fusing right I was ready to lead up, cement and fishing the panel as with any traditional stained glass panel and then it is just a case of fitting it into the window frame.